Are you looking for something that will take you beyond Free Swim Lesson Plans for Babies and Toddlers? Are you looking to understand how other swimming teachers do their lessons? Are you looking for lesson plans that explain every step of the lesson in detail? Here is your opportunity to get inside the head of a very experienced swim teacher. Be assured I am an actual swim teacher, so the drills I give will be completely relevant to learning to swim. There will be nothing here but information directly relating to those beginning to learn to swim. I have taken the lesson plans that I have developed over more than 20 years and made extensive notes, links and annotations so that you will know exactly what I mean by each instruction. I have always loved to teach swimming and I hope that will show in these notes. These lesson plans have been written for the swim teacher, who wants something more than just the basic plan. Either an experienced teacher who is looking for a few ideas but doesn't want to guess what is meant in the lesson plan or a new teacher who just needs help and guidance as you start your career. You can share in what I know. You can share my secrets in ways that I have never shared them before! With these special and very detailed lesson plans, with links to even more complete descriptions, you may discover how to completely changed the way you approached swim teaching! Swim Lesson Plans For The More Curious Swim Teacher! 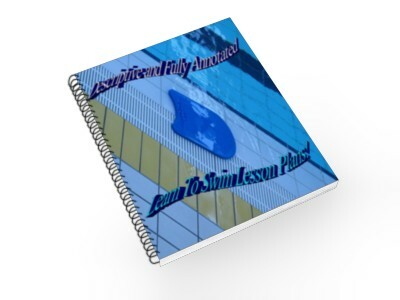 Go and get my Descriptive and Fully Annotated Learn To Swim Lesson Plans! right away! All the stages for teaching someone to swim are here in these lesson plans!